The First Rule of Social Media | "The What, How, Where"
I’ve been pondering over the last few weeks as to why Facebook is the king of social media. With 400 MM+ members and 50% of membership active everyday, it’s a massive force. So why has Facebook succeeded where others failed? I reason it’s because THE SITE WORKS! Not only is Facebook the place where my friends are, has an open API that allows me to bring together other social networks (WordPress, Foursquare, Trip-It), but I’ve been impressed on how consistently the site performs. Not a groundbreaking analogy but very plausible. Being on the road, I’ve used many forms of social media, including Trip-It, Foursquare, LinkedIn, Twitter, Hootsuite to create a cross-network campaign to alert business connections and my friends about my travels. Facebook is the only site that has consistently worked. I like the concept of location based networks, plus the badges are fun to earn. However, I’ve had numerous challenges checking into locations that weren’t in big cities or via WiFi. In fact, I’d estimate that I’ve only been able to check-in about 50% of the time, the other 50% I’ve either experienced error messages, site throttling or the inability to pinpoint my location. Twitter has become an important media tool to amplify a message to a larger group (such as this blog post). The site works well with other networks. For example, if I’m at a major venue or city, I can bring my Foursquare feed (on a case-by-case basis) out to a larger network on Twitter. 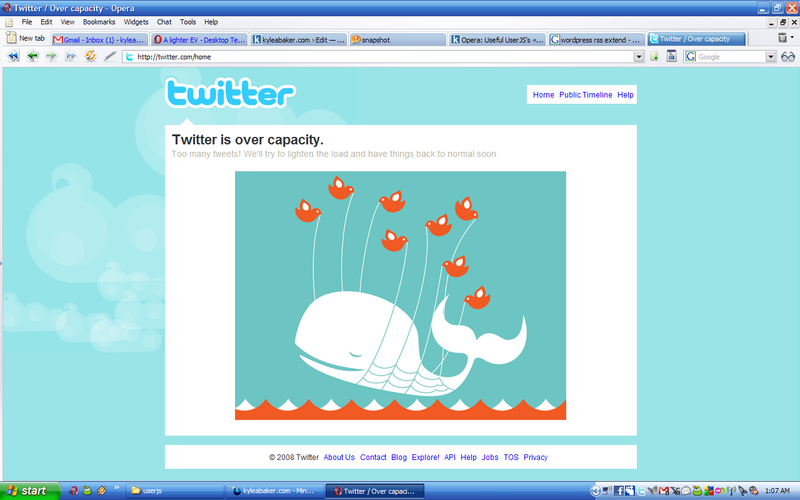 However, I’ve been seeing Twitter over-capacity frequently. Trip-It is an easy to use traveler application that works very well with both Facebook and LinkedIn. I can easily alert my connections of my whereabouts in Europe. While the service has been very helpful, I’ve found there’s no way to tether city-to-city. 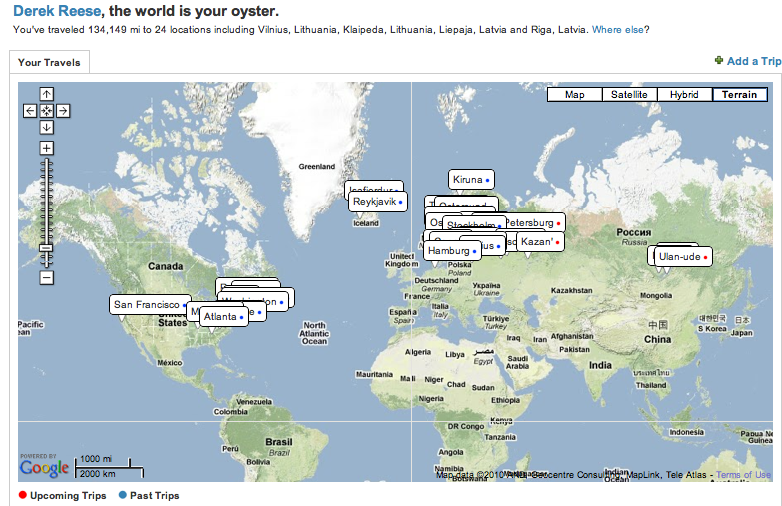 Currently, my status shows I’ve traveled over 100K miles, when most likely I’ve traveled 7 or 8 thousand. In my opinion, each one of these sites is going through the usual growing pains that come with massive growth. As they mature, I hope these issues will be resolved.